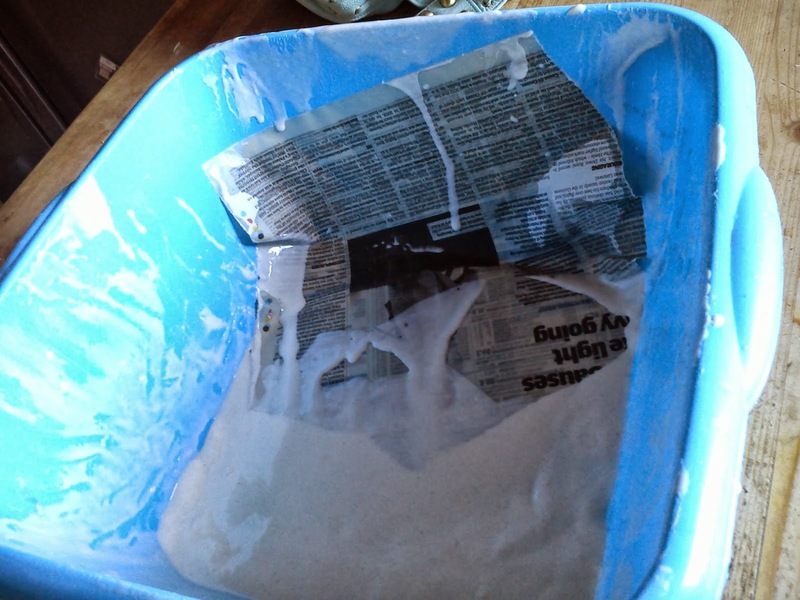 Self adhesive scrim tape is used to tape over joints before skimming plasterboard. 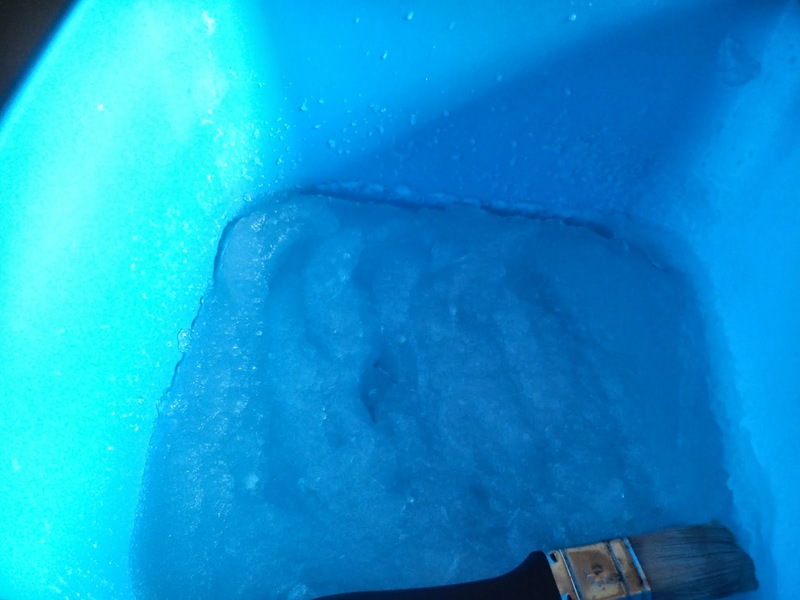 It's flexible to prevent bubbling which gives it a cleaner finish. 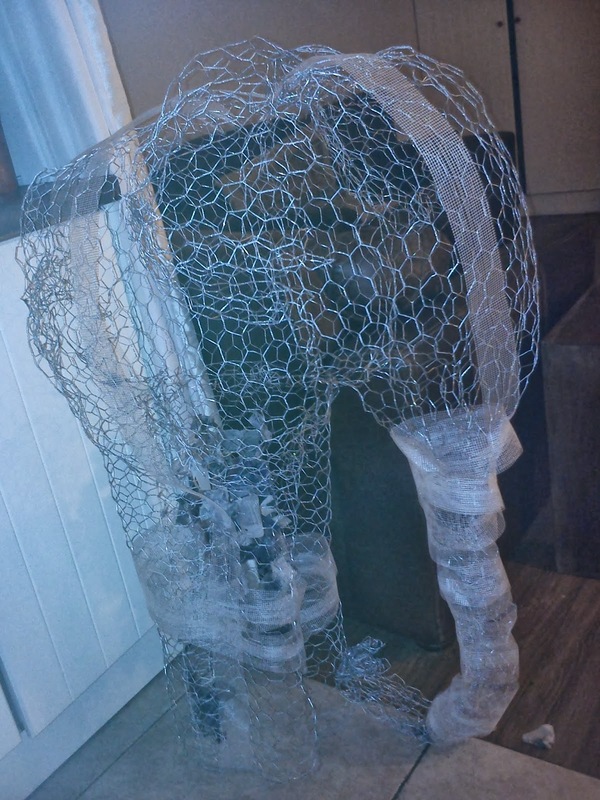 Make an frame of an elephant from the chicken wire. 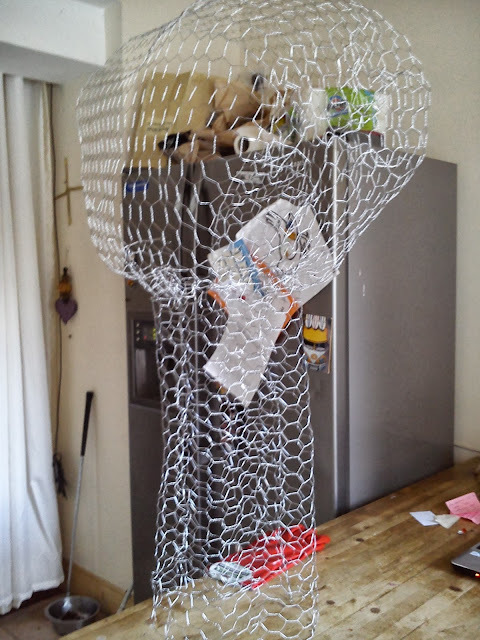 Cut chicken wire with scissors, be careful as the bits of wire are quiet sharp. 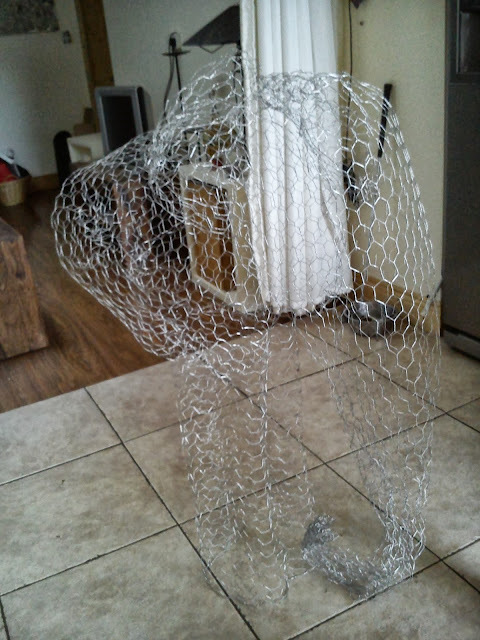 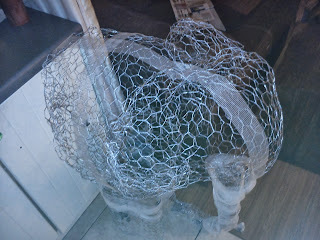 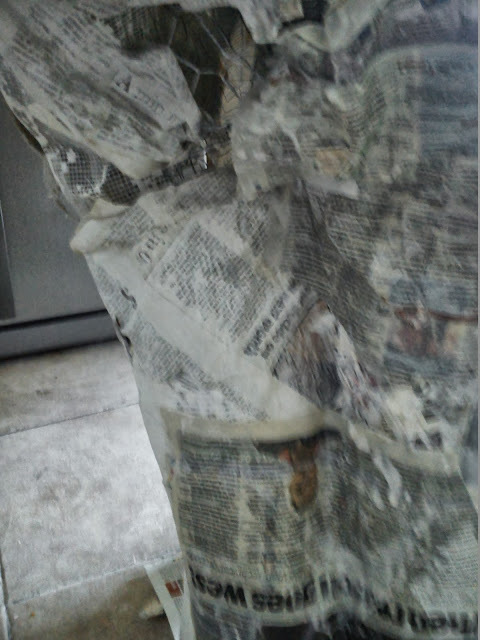 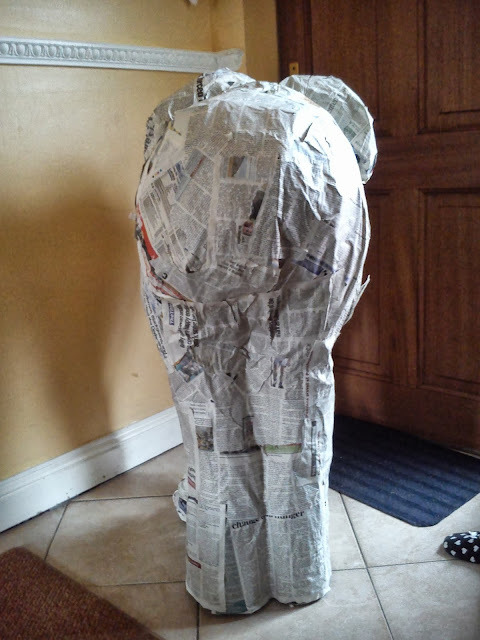 I made his legs first, using chicken wire, I folded a piece of chicken wire in to a cylinder. My elephant is about three foot high in total. 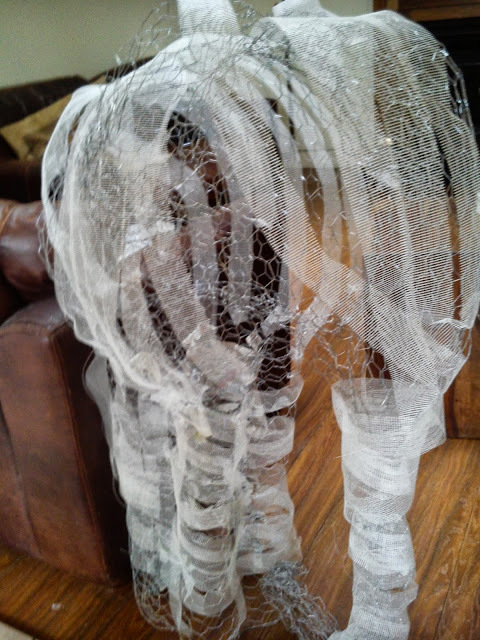 I made the shape of four legs from the cylinder, the top elevation looked like a four leaf clover. 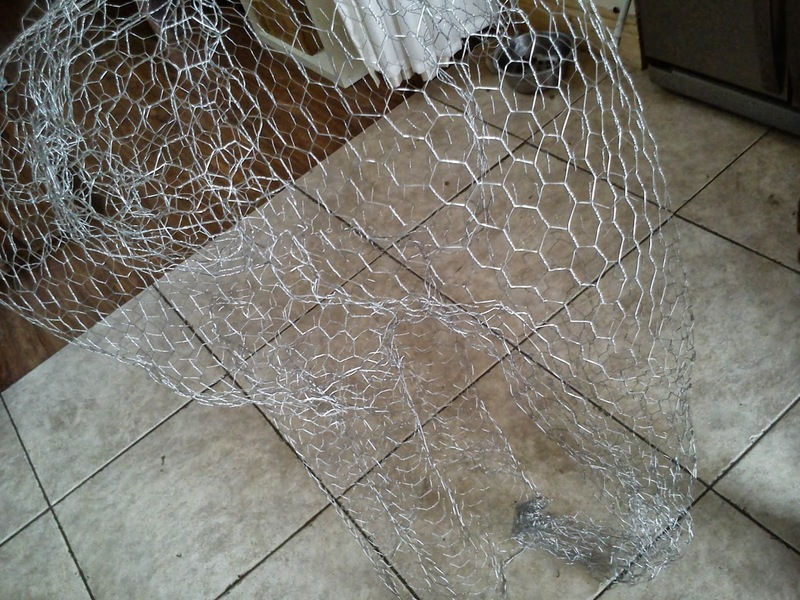 Each leg was part of the next legs, separated be an indent in the chicken wire. The body, I made a large mushroom dome shape and attached to the leg structure, folding the chicken wire and hooking it in place to it self, this was a little tricky and sore on the hands so wear gloves. The head and trunk was one long piece of chicken wire. the head was a dome piece and the trunk was the rest of the chicken wire folded on to it self to create a shape that looked like a trunk, which reached the ground. 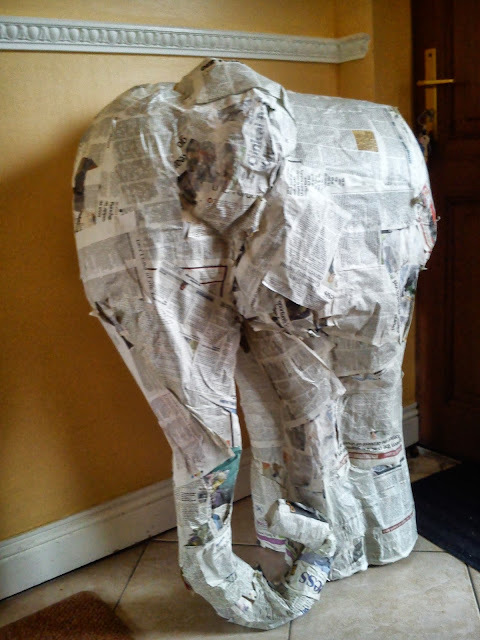 This also made the elephant more stable. 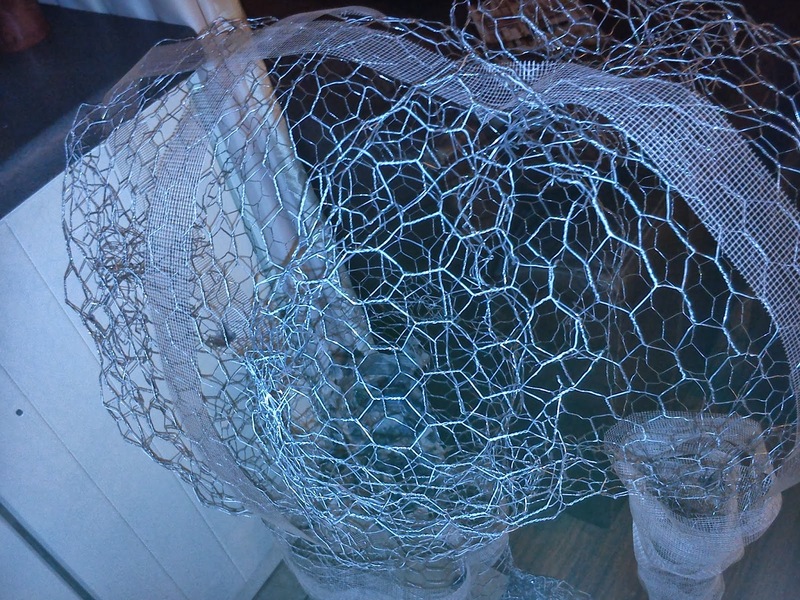 The ears, I made small dome shapes and placed them each side of the chicken wire head. 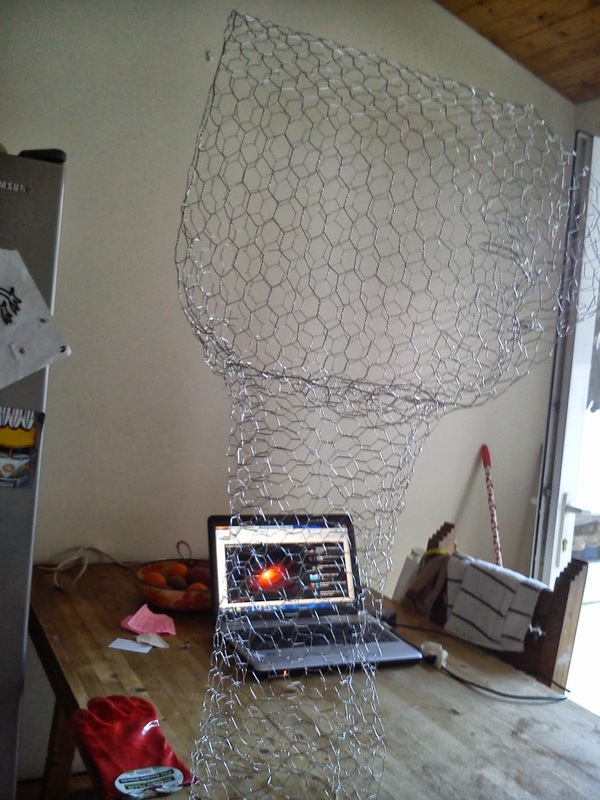 Fold the wire on to it self to attach. 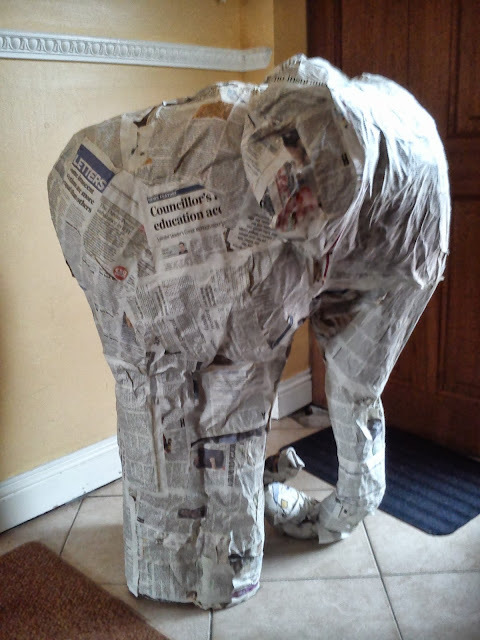 Remember this is supposed to be fun, so enjoy the process. 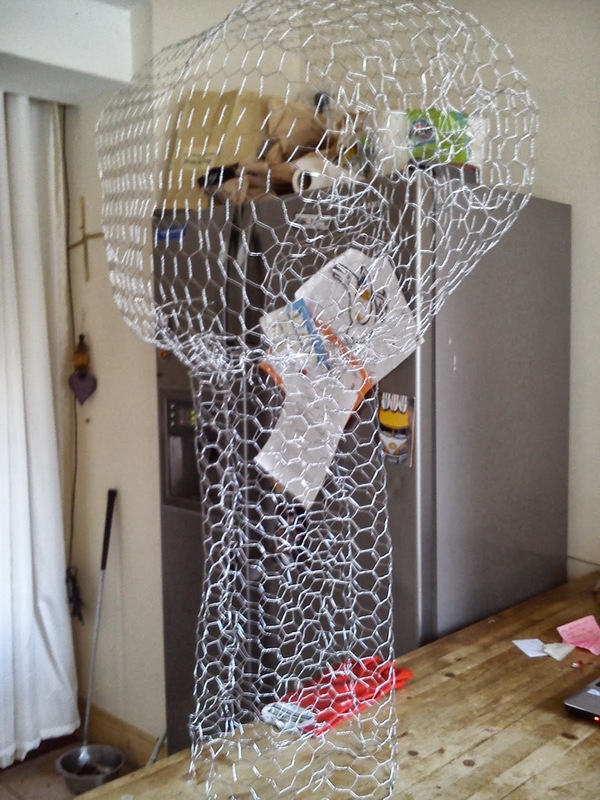 I used scrim to coat the surface of chicken wire to create more of a base for the paper mache, I don't think this is entirely necessary but if you have scrim use it, if not it is ok. Wrap the structure with scrim. 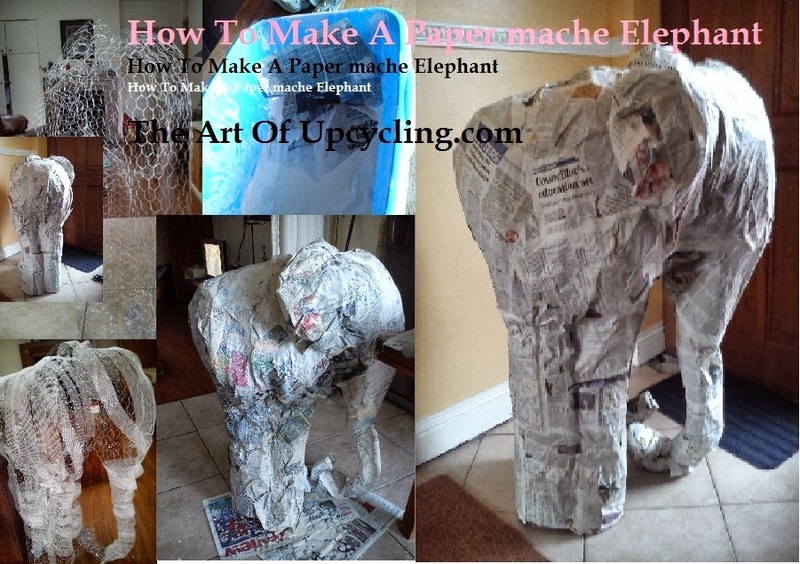 Layer up the paper mache on the frame. 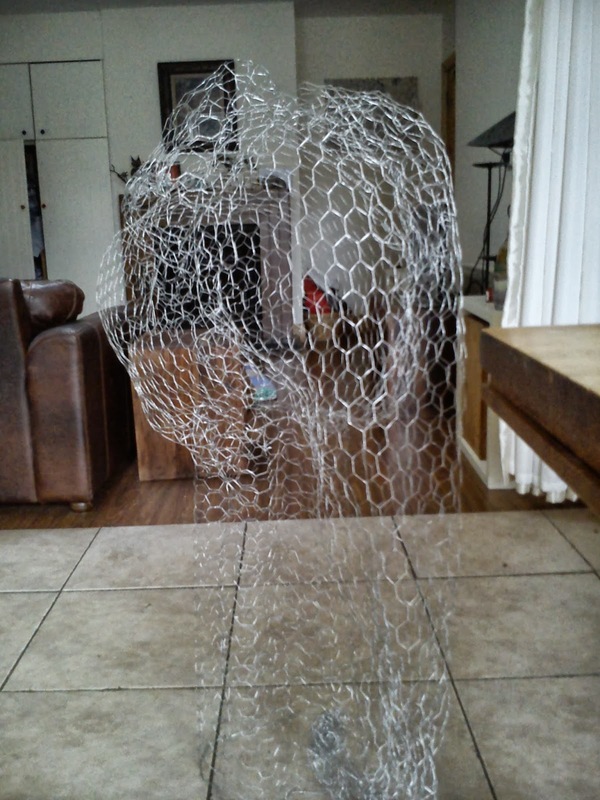 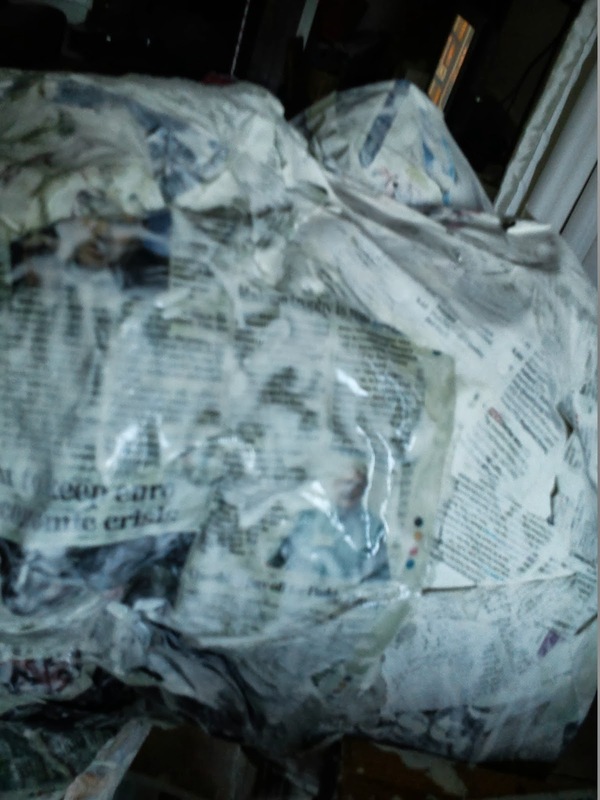 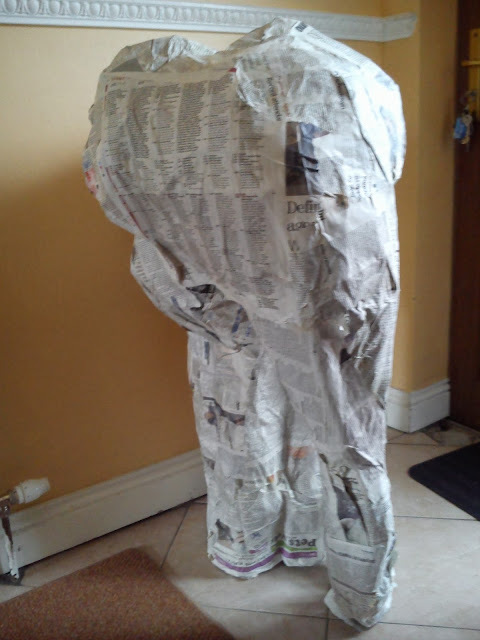 This is the slow part as you must gradually build up the paper mache and allow to dry, before coating again with paper mache as it it quiet heave when wet and will make the chicken wire structure unstable. 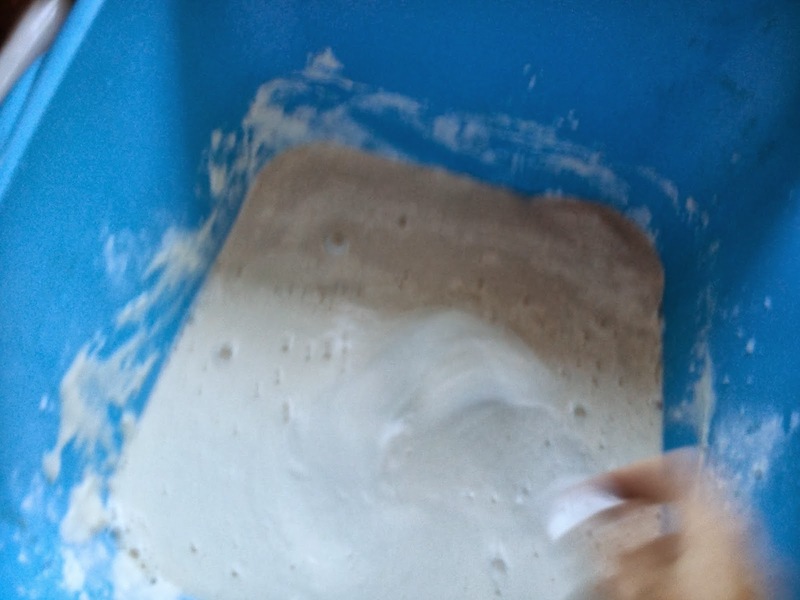 Just do a little bit every day until whole structure is covered. 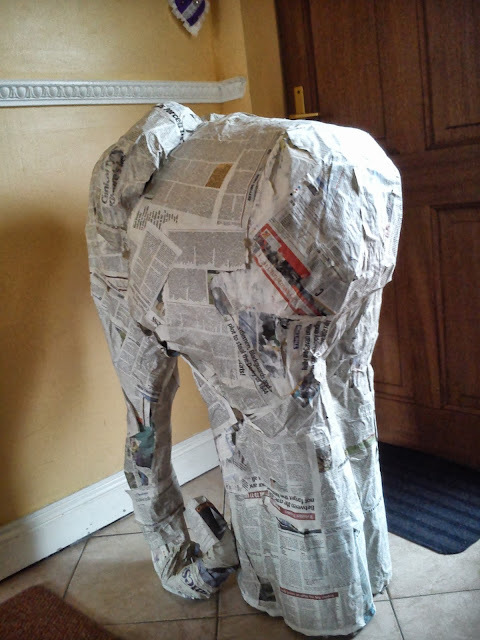 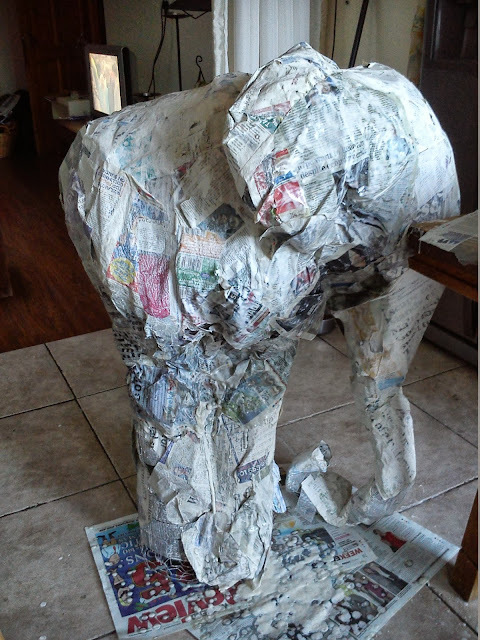 Name your elephant, and hopefully you will be inspired to create other structures with chicken wire and paper mache. I am thinking of "A mad hatters hat, lamp and a giraffe" but the possibilities are endless. the key is to just start the ideas with flow and your imagination will fly when you in the flow of creativity. 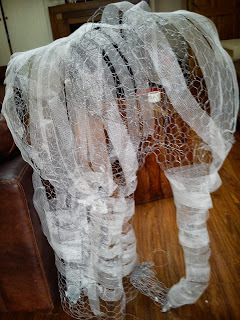 If you do make something, please take photos and do a step by step for us all.....if I can do it so can you.........send me a mail..